Can a vampire slayer and a werewolf ever get along? Heather and Ryan know almost nothing about each other. Their only connection is Sofia, and since they both trust Sofia, they grudgingly accept the fact they’ll be working together temporarily. Neither of them is exactly happy about the arrangement. As I read, I was definitely intrigued by their situation. What event in Heather’s future could be so horrible that Sofia had to set a plan in place so many years in advance? It doesn’t take long for Heather and Brendan to get into serious trouble. Once Heather learns the vampires’ terrifying agenda, she’ll sacrifice anything to stop them. This book does contain some graphic violence. Readers sensitive to this content are forewarned. Heather and Ryan are certainly a reluctant team. I completely understand their hesitance to trust each other at first. After all, they are strangers thrust together for a purpose they know nothing about. Both are very strong personalities, so they are bound to clash. At first, I found their bickering and arguing entertaining. However, I must admit that it got old after a while. Heather and Brendan help each other out of some horrifying situations. Each time I would think they had finally reached a point in their relationship where they will stop fighting and each time I was disappointed. I found this a bit frustrating because by the end of the book, it was clear that they did care about each other. Also, a romantic moment between them caught me completely off guard. While I could tell that they were slowly beginning to trust each other, I never sensed any real chemistry between them. To me, their bond seemed to be one of friendship rather than romance. Consequently, the romantic moment between them felt forced. Despite this issue, I must say that Cranberry Blood is a well paced book full of danger and action. Ms. Morgan has clearly put a lot of time and thought into the world she has created. 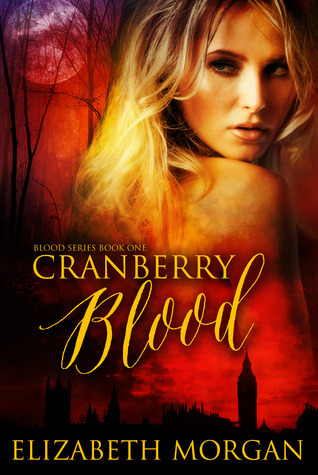 I found her version of werewolves and vampires interesting, and each twist in the tale kept me reading. Overall, Cranberry Blood is a good book. The plot is a real nail-biter sure to keep readers on the edge of their seats. I recommend this book to anyone who enjoys a fast paced paranormal filled with action.